On trains between Copenhagen Airport and the Swedish west-coast, you can observe all kinds of interesting human behaviour when people try to walk through the train. There are automatic sliding doors every now and then. Most people are familiar with the typical automatic door in for example shopping centres, that open automatically when you get within a certain range of the door. This is not the case on these trains. 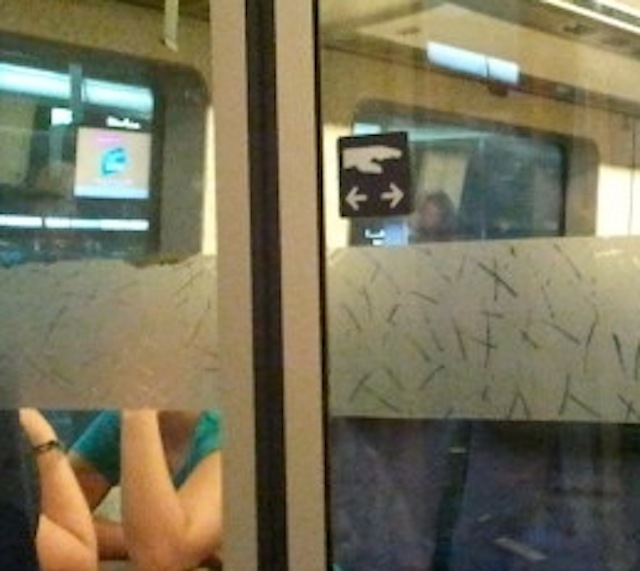 On the sliding glass doors, there is a small sticker with an icon, a hand and two arrows. I saw a number of people assuming that the sticker was a touch control, pressing their fingers against the sticker, hoping the doors would open, but this has no effect. Others make strange “Star Trek”-like salute gestures, but the doors remain closed. 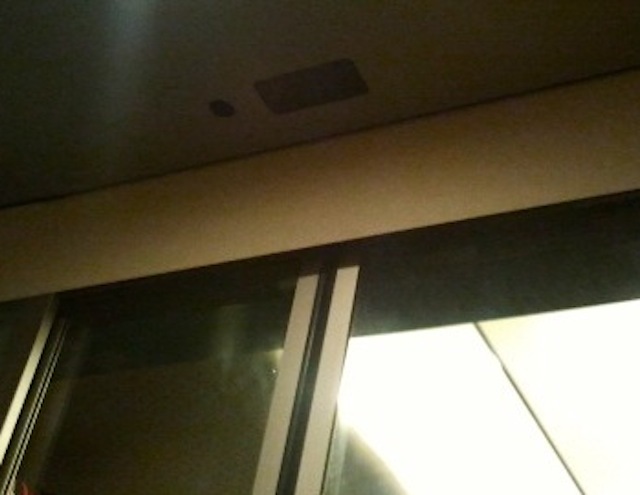 Some people look around and the sensor is located above the door. If a tall person approaches the door, it will open automatically. For shorter people, e.g. women and kids, the only gesture that will open the doors is by waving a hand above their head. If Öresundståg were to change this, to improve the usability, do you think they would change the sticker (and if so what should it look like), or change the proximity sensor?